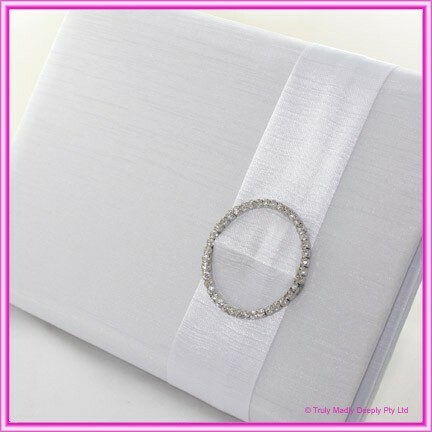 This stunning white wedding guest book features a beautiful fabric that is similar in look to Thai silk, and a beautiful sash that is set with a large brilliant glimmering diamante circlet. The circlet buckle is a quality product with glass diamantes and set in a metal clasp that is tarnish resistant. 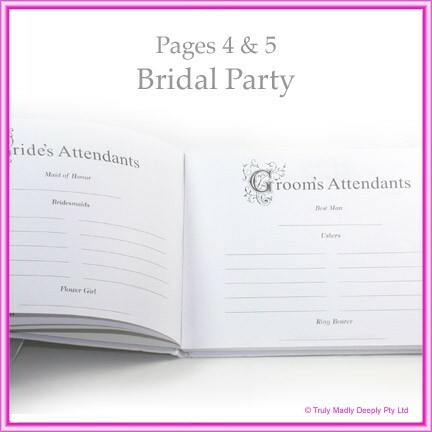 This is truly a gorgeous wedding guest book. The pages inside are detailed in images below. 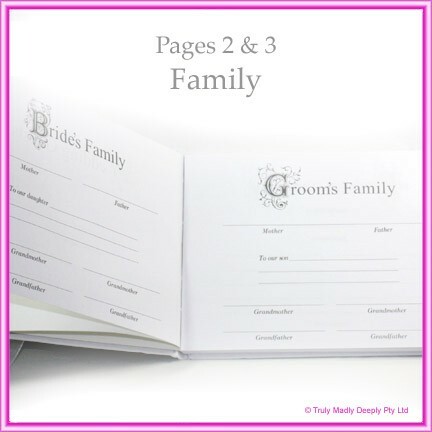 Page 1 is for the couple to write their names and the date of the wedding. 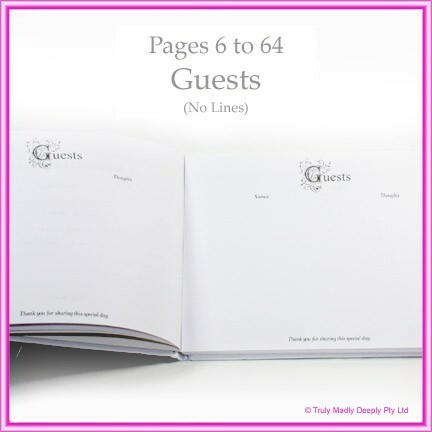 Page 6 to 64 are for the rest of your guests to sign. Please note the actual spine may vary slightly from the image below. Some are stitched and some are bound, depending on how the book is constructed. Matching feather pen and ring pillow are also available in this collection. See below for details.